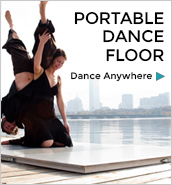 Dance happens across the Boston area every day of the week. Whether you’re an accomplished enthusiast or a complete newbie, check out participatory dance activities for fun, health, and a great way to make friends from all walks of life. This list flags participatory activities that are LGBT-friendly and those that are welcoming of dancers who use wheelchairs. Let us know if any of the dance activities we list here should be in these categories and please add participatory events that are open to the public that we may have missed.